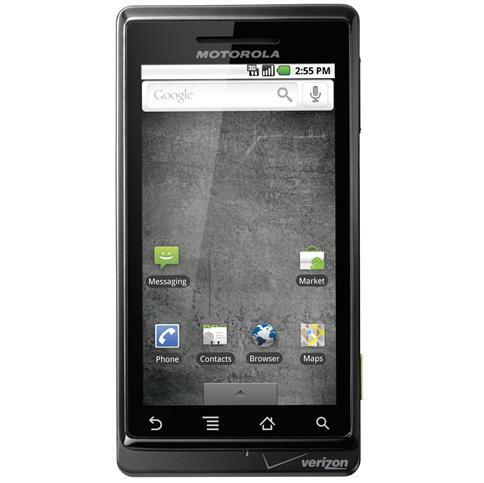 Motorola Droid X is ready to receive the latest Android OS, the Froyo version, tomorrow. Verizon Wireless has just release a PDF which contains improvements of the Droid X update. – Improved Web browsing with pre-installed Adobe Flash Player 10.1 for Android. – Easily switch between the eight most recent applications. – A screen that works for you and your apps. – With Android 2.2, you can rotate your screen 270 degrees—either to the left or to the right when moving from portrait to landscape mode—to work with apps in more directions. – Always have the latest versions of the applications you’ve downloaded with automatically updated Android Market apps. And you can choose to store applications in your device’s memory or on a storage card for more capacity. – Take advantage of the preloaded VZ Navigator® application. – Get visual and audible directions to a destination, locate businesses and other places in an area, get a map of a location, bookmark favorites and recent searches, and even share locations with others. – Overall improvements for Google Maps performance on the Droid X. – Improved connectivity to Exchange server and Exchange ActiveSync email notifications. – Easily edit MMS messages after attaching video files. – Manage message history from Contact application. – Transition from Wi-Fi and 3G without losing data connection. – Improved 3G Mobile Hotspot application. – Visual Voice Mail updates include simplified setup, improved notifications, and updated display features. – Easily listen to voice mail via Bluetooth® when using the Visual Voice Mail application. – Manage contacts with updated Backup Assistant. For step-by-step instructions on how to perform the download, visit verizonwireless.com/DroidXsupport or check this PDF. Update: Verizon confirmed the Droid x update and announced via Twitter that Android 2.2 will begin to roll out today (Wednesday) at noon. You don’t have to wait for the Over the Air push, you can simply follow these steps : Menu > Settings > About phone > System updates.